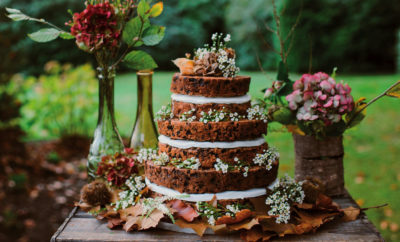 With a nod to this fashion capital, this project is quick and easy for the busy bride. 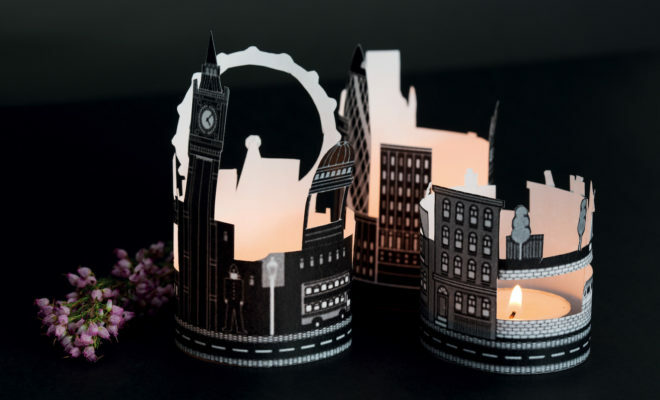 Give a romantic air to a city wedding with these London skyline candle cut-outs. 1. 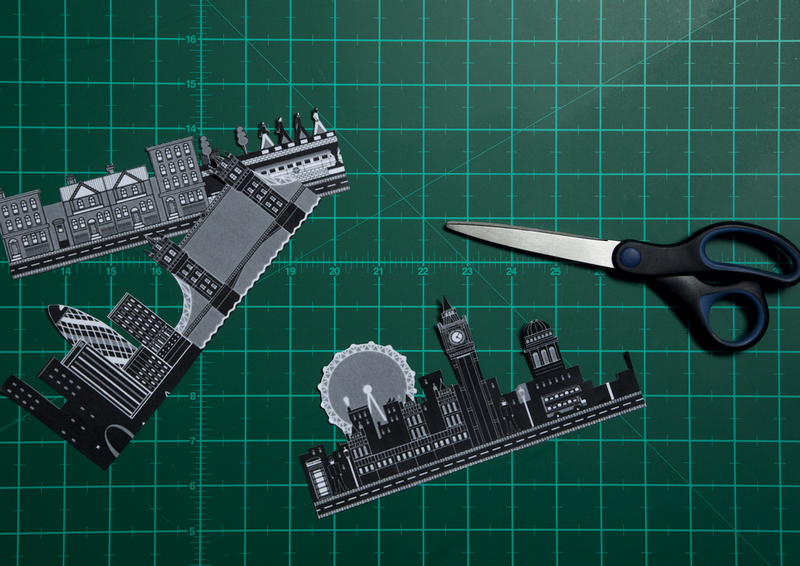 Cut out your picture around the top of the buildings to create the shape of the skyline. 2. 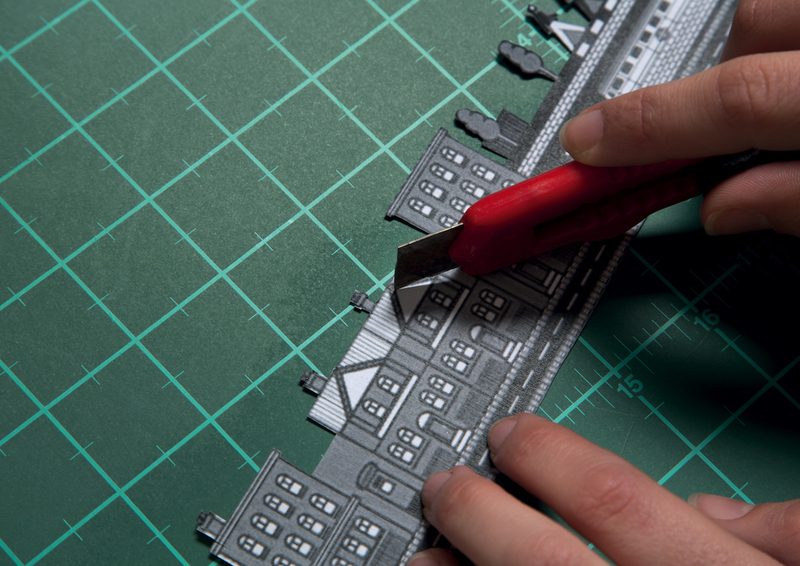 Place your picture on the cutting board and use the NT cutter to cut out any windows, doors or other details. 3. 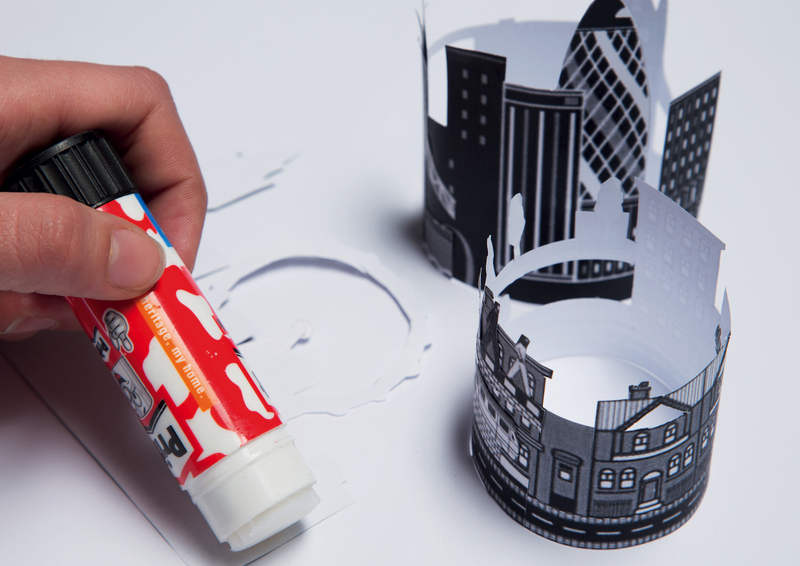 Glue one end of your skyline to the other to complete the candle shade. Place it around a tea light candle.